Beginning in 2011, the Hallmark Channel began a yearly holiday celebration with their Countdown to Christmas event in November through December. Combining Christmas classics with new Christmas movies and fresh additions to their franchise series, Hallmark Channel fills the weeks before the holiday with as much Christmas programming as possible. With Hallmark's 2018 Countdown to Christmas premieres starting in late October, they're making sure you get the best Christmas movies possible, as often as possible, during their long Countdown to Christmas movie lineup. Offering dozens of seasonal variations on two folks working together while falling in love, such as My Christmas Dream, A December Bride, and Christmas in Love, Hallmark brings romance to the holiday. Their romantic Christmas movies also include films like The Sweetest Christmas and Enchanted Christmas, where the holiday helps two people remember how much they love each other. It's not all romance during Hallmark's Christmas lineup. From Santa struggling to save the season in The Case For Christmas to a guardian angel helping someone understand her own worth in Debbie Macomber's Mr. Miracle, there's a Christmas movie for just about everybody. Two Hallmark Hall of Fame movies have even premiered during the Countdown to Christmas. A Heavenly Christmas stars Kristin Davis a Christmas Angel in training and Just In Time For Christmas returns Christopher Lloyd to the role of quirky time traveler as he assists a woman in making a decision that will change her life. Each of these films is a cozy gift to keep your heart warm this holiday season, but which of these Hallmark Countdown to Christmas movies do you think are the best? 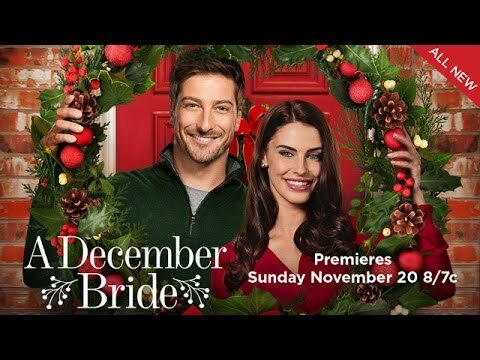 An aspiring crafter working in her small town’s bakery making famous Christmas Kringles, Ellie Hartman (Brooke D’Orsay) teaches new, big-city CEO Nick Carlingson (Daniel Lissing) how to make a Kringle, determined to show him it’s the people who make the business a success, not machines. When Nick finally tells the employees his future ideas for the company, Ellie must decide if she should trust him, but more importantly, whether to take a leap of faith in making her own dreams come true. Aspiring interior designer Layla (Jessica Lowndes) is dreading the Christmastime wedding of her cousin who’s marrying Layla’s ex-fiancé. Although Seth is the one responsible for introducing the bride and groom, she begrudgingly accepts his offer to be her date as she’s out of options. Seth gets carried away at the reception and announces they’re engaged, forcing a mortified Layla to keep up the pretense. 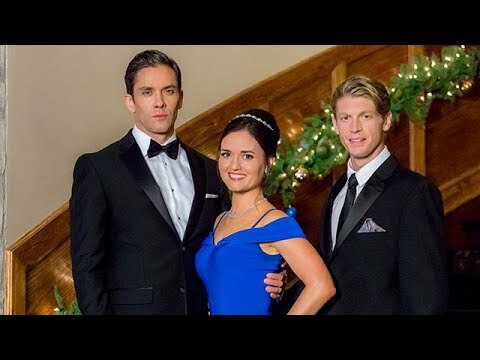 Lizzie Richfield (Danica McKellar) lands a job as house manager for the exquisite Ashford Estate in the Virginia countryside. While preparing the place for sale, Lizzie plans one final Christmas Eve gala for the family, although they seem to be a family in name only. After getting fired from her job as a maid at a ritzy New York City hotel, a woman (Danica McKellar) accepts a temporary job as governess to a young girl who is part of a powerful European family.